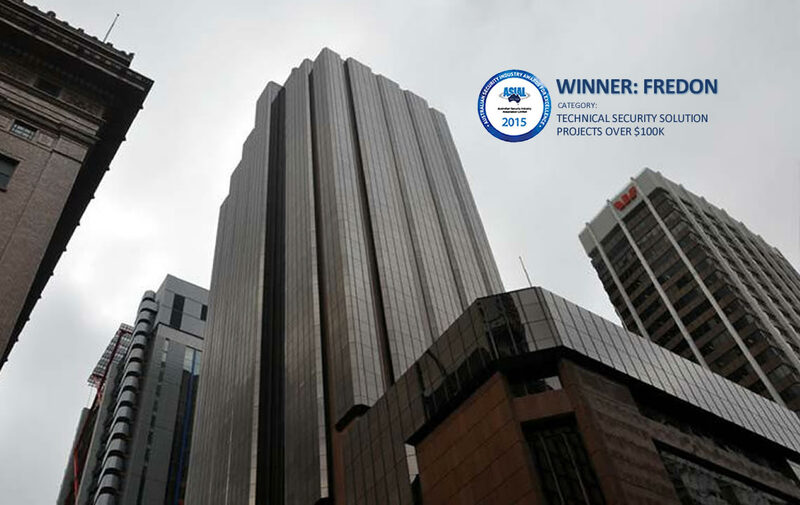 The Offices of the NSW Premier and Cabinet at 52 Martin Place won the Australian Security Industry Association Limited (ASIAL) Award for Excellence in the category: Integrated Security Solution over $100,000. The award recognised Fredon’s skill in completing the demanding project without a time extension, despite significant execution and design challenges evolving during the course of contract. The project employs an integrated access control and video surveillance system. The system chosen is widely used for best practise government applications, such as the Pentagon and other US government installations. The completed project offers a number of advanced features which combine uncompromising security with ease of use. For instance, an iPad app allows mobile access to government personnel so they can monitor cameras in real time and remotely open doors in pre-approved areas, particularly helpful for VIP guests and after hours. A portable wireless card reader allows VIP cards to be privately and conveniently enrolled anywhere on the premises without having to queue at a manned card station.